Debate Mate USA is a 501(c)3 nonprofit organization based in Cambridge, MA. We use debate, and the skills it teaches, to empower young people and give them the confidence to express their opinions with clarity and insight. Our programs are taught by college student mentors from institutions such as Harvard, Boston University, Northeastern, Brandeis and more. We are part of a global network of Debate Mate programs and the sister organization of Debate Mate, in London, UK. By teaching debate through peer-to-peer mentoring, interactive speaking and listening activities and competition, we empower and inspire participants and provide them with powerful role models to raise their aspirations. 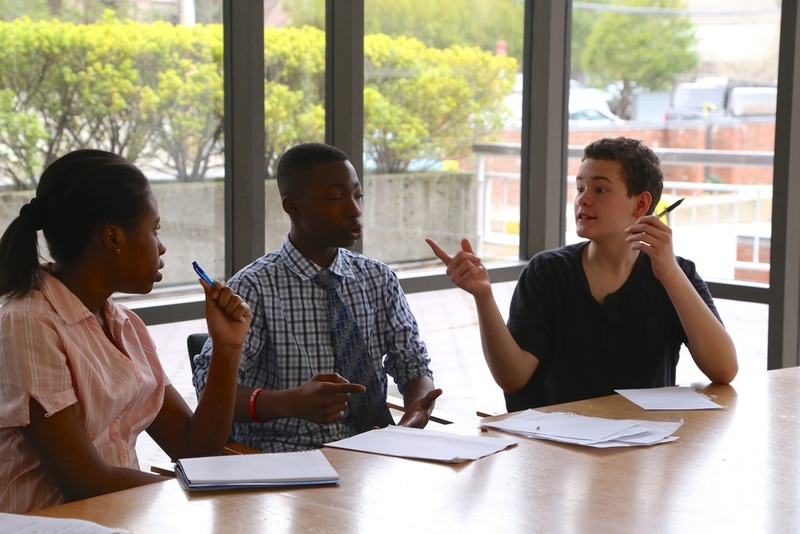 Debate Mate USA's mission is to improve student confidence, communication, teamwork, critical thinking, and conflict resolution skills through peer-to-peer debate mentoring by college students.